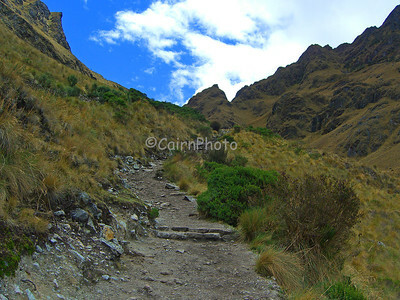 Our trip to Peru which included hiking the Inka Trail to Machu Picchu. 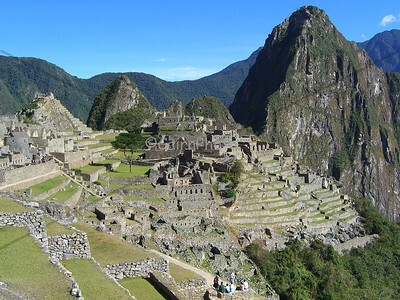 After flying into Lima, we were really happy to get to Cusco. 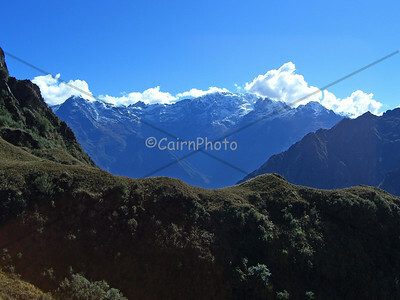 We had to stay in Cusco for two days before we started to hike on the Inka Trail. 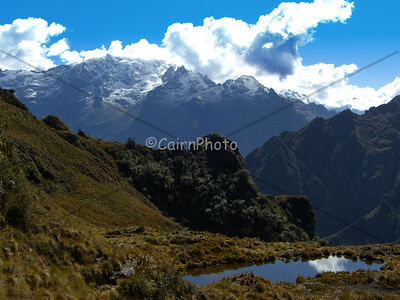 Cusco is about 11,200 feet high and staying here helps acclimatize trekkers before they start out on the trail. 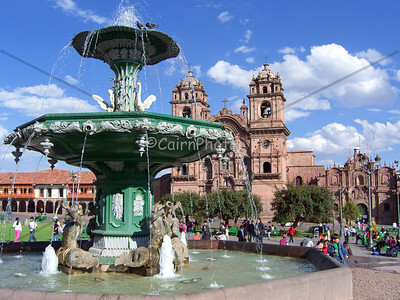 This picture is the Plaza De Armas (basically the town center), a fountain and the La Compana church. It was a really pretty town which was warm and inviting. 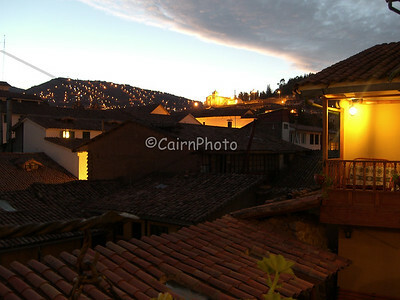 This is Cusco at night from the Amaru Hostel. Since we had a free day, we took a day (a long day!) 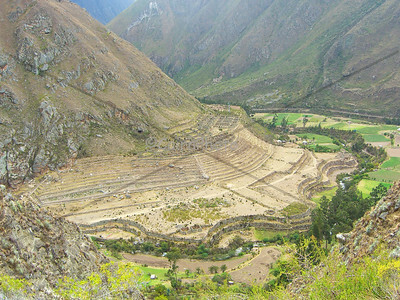 tour to the Sacred Valley. 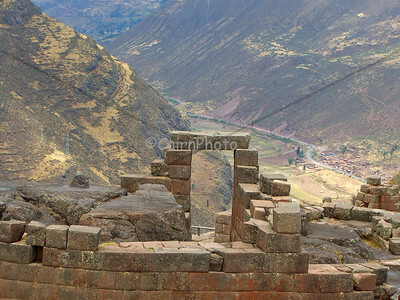 This picture was taken at the Pisac ruins. 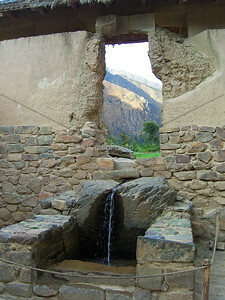 This is the fountain at the Ollantaytambo ruins. Our guide told us the water from the fountain was said to bring fertility to women who bathed in it. Other people say it was a fountain for royalty. 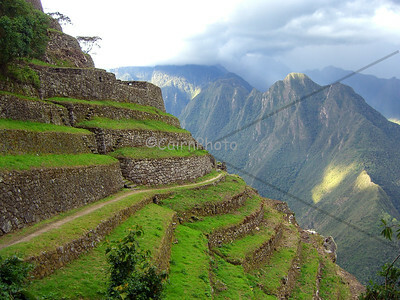 The day we started the trek to Machu Picchu it was raining just a bit. It cleared up but semi-grey skies were the norm for part of every day at least. 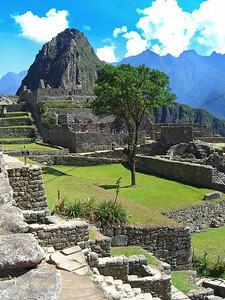 These are the Patallacta ruins. 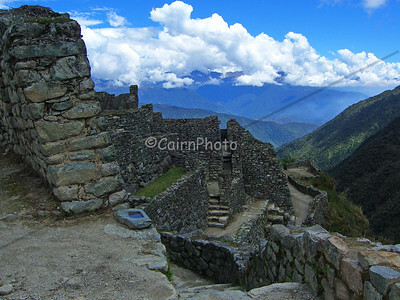 These were the first ruins we saw on the trail. Trail shot. Our guide told us this part of the trail was "original" trail. 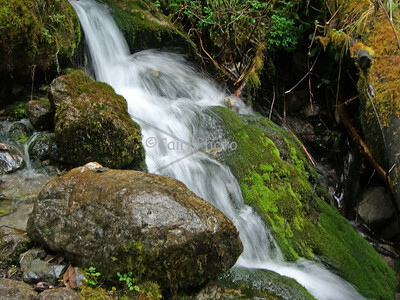 It rains a lot in Peru so creeks, streams and lush green plants were common. 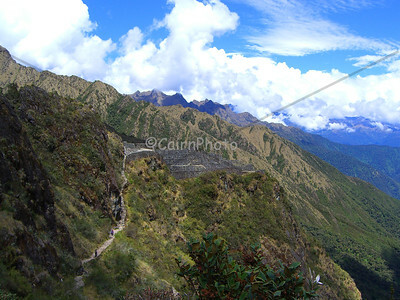 This is Warmiwañusqa (Dead Woman's Pass). 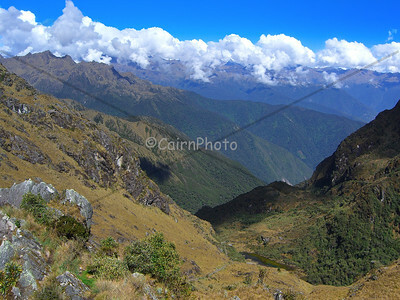 It is the highest mountain pass on the classic trail at 13,780 feet. View towards Sayaqmarka from the second pass on the classic trail. 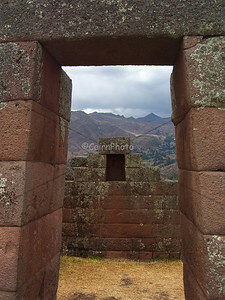 The Sayaqmarka ruins were beautiful and rich with cultural history. 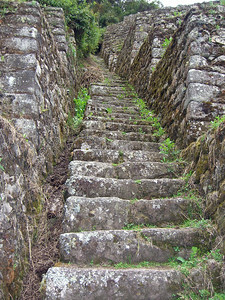 Ancient stone steps near Phuyupatamarca. 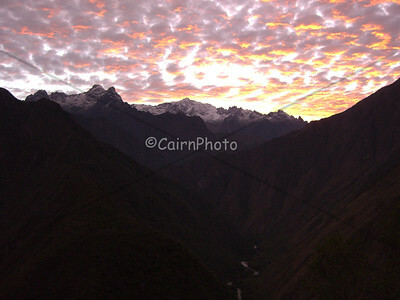 Sunrise at Winay Waya, the last campsite before heading to Machu Picchu. 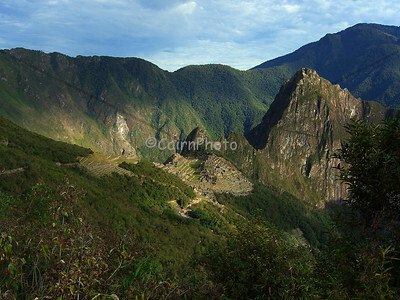 Early morning light shines on Machu Picchu. 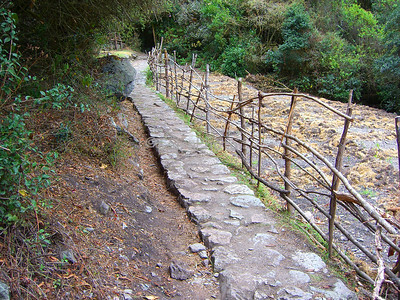 When you hike the classic trail, you race on the last day to get to the Puerta Del Sol (the gate of the sun) to see the famous ruins at sunrise. We just missed true sunrise but this light did not disappoint.